Our PPC management company helps Service-based businesses generate quality leads via Google AdWords and other PPC networks. 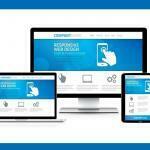 Have all your PPC questions answered for free from our lead Pay Per Click consultant. You only pay when you get a click (or lead). So, in a way, you can think of PPC as a performance-based lead generation system. You can control how much you spend on your PPC campaigns. Not just that, you can easily pause your campaigns if you’re booked out or when you face budget constraints. You can laser-target your ideal clients with advanced campaign settings, which means your PPC budget is only spent on leads that can go on to become quality clients. In fact, by retaining the clients you acquire via PPC, you won’t just get a one-time contract, but you’ll get 10X the business they bring. 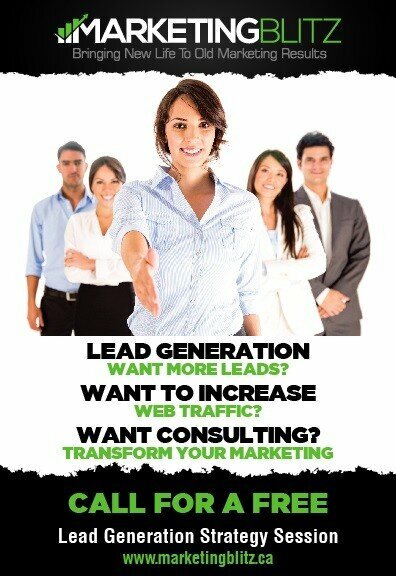 Looking for a PPC Agency in Canada that can help you improve your online presence to generate consistent leads? Call us now: 905.216.7571 or complete contact us form to Book Free Consultation. We perform extensive keyword research to identify the best and the highest commercial intent keywords to bring the leads to your business website. We also use your competitors’ ads campaigns to uncover their most profitable and budget-friendly keywords to build your ad campaigns. Our expert conversion copywriters write conversion-optimized ads, so they get the highest click-through rates. In addition to working on your ad copy, we also work on your ad’s layout and other elements like location and call extensions, so they work even better at getting the leads to drive to your business or call you for more details about your services. As part of our PPC services, we’ll take over your Google Adwords account and set up your ad campaigns. Our ad campaigns have just the right keywords, ad groups, and ad copies to generate the most leads for your services business. Once your PPC campaigns are up and running, we’ll monitor their performance daily and make frequent (sometimes daily) adjustments to them, so they get the best ROI for you. 50% of your ad campaign’s success depends on the landing page you bring your visitors to. So as part of our PPC services, we’ll also offer you consultation on how you must create and do the copywriting for your landing page, so the visitors who click through also fill up your landing page forms and request more info on your services. We’ll keep updating you with reports to show you your campaigns’ Spend, Impressions, Clicks, Conversions, CPA, your best-performing keywords, etc. We’ll also update you on any campaign tweaks we make for getting better ROI. One of our key skills that make our PPC campaigns work is how we target your ideal audience bases. To minimize ad spend waste and get the best ROI from your advertising budget, we laser-target the people who fit the profile of your ideal leads. Which means anyone who clicks on the ad to reach your website will mostly be a good lead. We’ll also set up retargeting/remarketing campaigns to follow the users who visit your website but don’t contact you. Such retargeting often offers excellent results. Reach your ideal local clients and start getting service requests in record time. With Google AdWords search and display advertising, you can promote your services before people who are actively searching for them. Tap into your ideal local audiences and sell out your services. Just like Google, even Bing Ads help you promote your services before people who are actively searching for them. LinkedIn Ads make your services discoverable to the hundreds of LinkedIn users who fit into your ideal client profile. With its advanced targeting rules, LinkedIn advertising can help you attract scores of serious queries. Help your ideal clients on Facebook discover your services via catchy and conversion-friendly Facebook ads. Facebook ads aren’t just cost-effective but also offer advanced targeting, which means you can show them to only targeted audiences who might be quality leads. YouTube advertising lets you reach your ideal clients (with targeting based on based on their interests, location, etc.) and gets your services more exposure. From Facebook’s family, Instagram offers you a great break into your young millennial audiences. Instagram’s photo, video, story, and carousel ads are best suited for B2C services or stores. NEED HELP DECIDING WHICH PPC SERVICES? 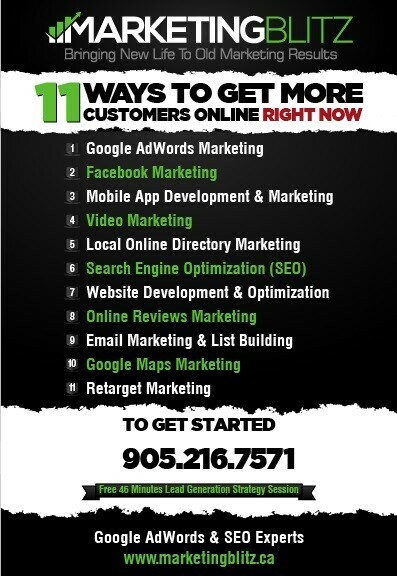 Call us now: 905.216.7571 or Book a free consultation with our expert PPC consultants who will recommend the best PPC network to you based on your business needs. Because we serve a lot of businesses in their initial phases, we understand that clients have their budget constraints. And so we try to get the best results that our clients’ budgets allow. We’re very careful about choosing the keywords, setting up the targeting rules and taking other measures that dramatically reduce the ad waste spend. We understand how service-based businesses work. So, when setting up the ad campaigns, we pay special focus on using local conversion-friendly hacks like location and call extensions that let your users get the directions to your company or call you with just one click. We’ve been offering PPC services for more than X years. We’ve built and optimized ad campaigns of all budgets and sizes. We don’t just help with running and optimizing the ad campaigns, but we also consult on the landing pages you’re going to need for getting the best results. 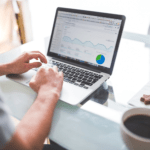 Our PPC management services don’t just focus on the technical performance optimization, but also on your business goals. If you’ve any questions about hiring our digital marketing agency or general questions related to Web Design, Search Engine Optimization, PPC, Google AdWords, Email Marketing, Call us now, Click below to contact us or You can also email us at info@marketingblitz.ca. We’ll be more than happy to help you.